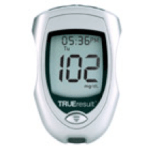 Cannon Pharmacies specializes in your favorite name brand diabetic testing supplies. No more boxes or mistakes from the mail house supply company! Come talk directly to one of our pharmacists at your neighborhood Cannon Pharmacy. 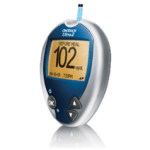 We file all insurances for your diabetic test supplies, including Medicare. If you have Medicare and a supplement or Medicare and Medicaid, your supplies should be no charge to you. An order from the physician treating you for diabetes is required to send claims to Medicare or insurance. Stop by or give us a call and we can obtain the order from the physician for you. 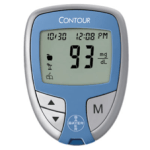 We carry a full line of supplies from major suppliers such as Bayer, Lifescan, Roche, Nipro, Prodigy, and Arkray. And if we don’t stock it, more than likely we can get it for you! 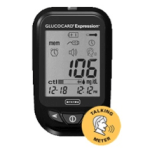 For those of you with no insurance, or high insurance copays, you may want to consider our talking meter from Arkray, the Glucocard Expression. 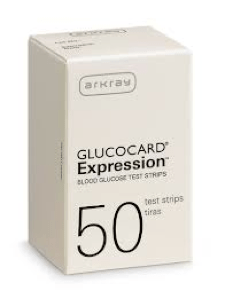 The meter is only $5 and the test strips are $14.99 for a bottle of 50! 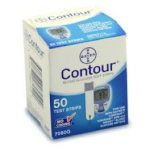 We also have the UniStrip test strips, for $14.99 and these work in any OneTouch ultra or mini meters. You will not find better pricing on a meter and strips anywhere!